Matt Hardy is known for his talented and entertaining gimmicks. One such gimmick was the “Broken Hardy” gimmick which he debuted in Impact Wrestling in 2016. He received a lot of praises from wrestling critics, for this gimmick. Broken Hardy gimmick was unique, entertaining and well received by the viewers. Subsequently, Jeff Hardy was also tied in to the storyline by the “Brother Nero” gimmick. This gimmick was so well received that Impact Wrestling (TNA), gave the Hardys full creative control over the Broken gimmick. They also had the permission to film their own segments to air on TV. But the legal battle between the company and The Hardy family, compelled Matt and Jeff to abandon the gimmick, when they returned to WWE at WrestleMania 33. By November 2017 however, Matt won back all the rights to the character. 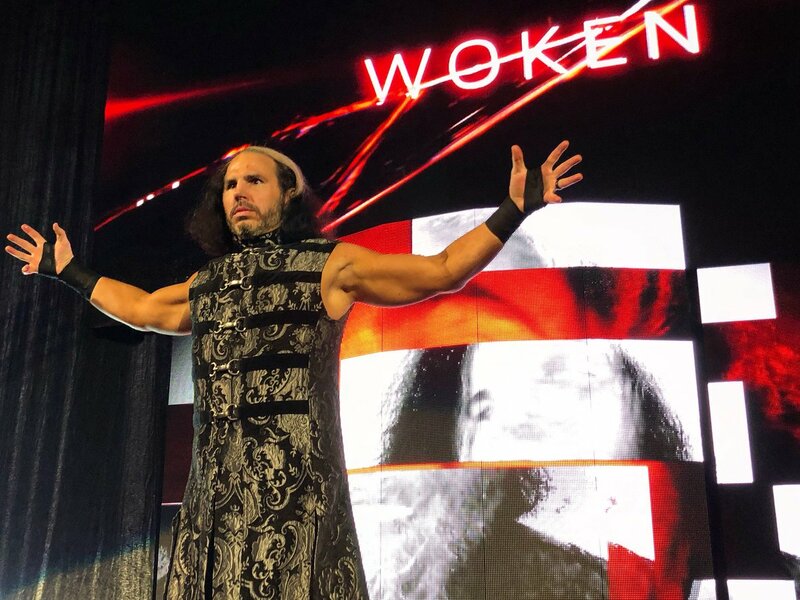 So “Woken” Matt Hardy, finally debuted on the December 4th edition of Raw. But since the name change in character, it has basically not achieved anything. There is a meaningless feud going on between Bray Wyatt and Woken Matt Hardy, which is pointless and not even helping either of the men. Instead of booking the character strongly, WWE descided to make him loose to Bray Wyatt on Raw 25th Anniversary epsiode, and to Elias on the 29th January episode of Raw. Thus, putting a stop to one of the most entertaining gimmicks in the world of wrestling. WWE had tried to capitalise on the success of the Broken Character, but they have falied miserably. Jobbing to Elias will never give justice to the character. And till now, we have not seen anything special from the character, other than a ridiculous 10 Hour long YouTube video from WWE, where Woken Matt Hardy is ‘Laughing’. Bray Wyatt vs Woken Matt Hardy, what should have been a really entertaining fued is now reduced to nothing more than a Filler segment. We can only hope that when Jeff Hardy returns, we will see Brother Nero (or maybe some other name) in action along with Woken Matt, to save this gimmick from dying.